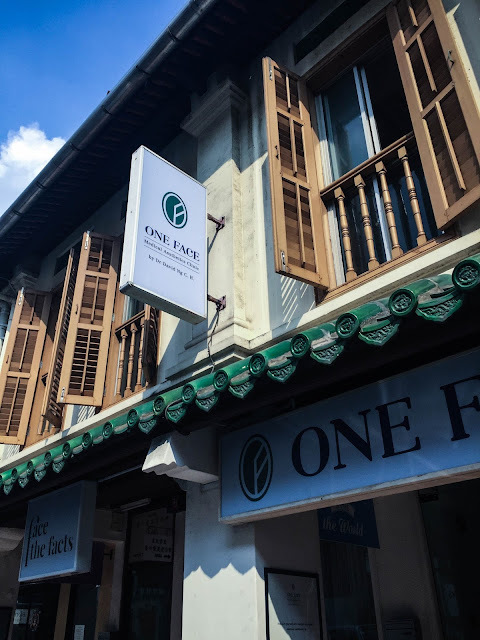 Goodbye Skin Pigmentation - One Face Skin & Aesthetics Clinic Singapore! I've always been seeing my mom worrying about her skin pigmentation. This year Mother's Day I just want to do something different for her. It has always been her wish to eliminate the pigmentations on her face. 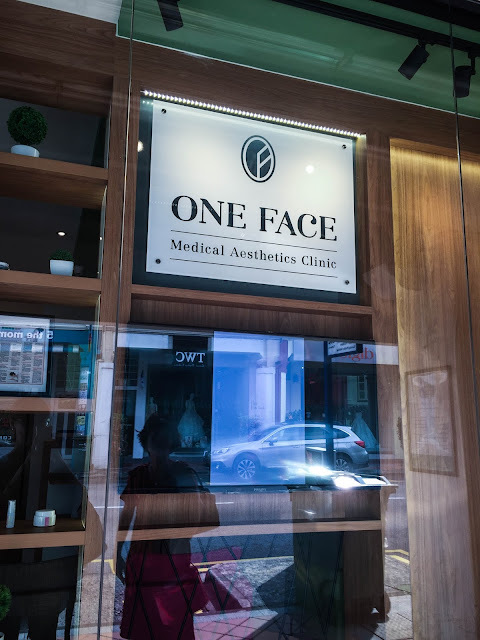 I'm definitely not experienced in removing it, so I've gone to One Face Aesthetic Clinic by a friend recommendation. My mom has gone TTSH skin specialist to cure it about 8yrs back, it recovers and comes back again. Although she has been preventing her face from the Sunlight. 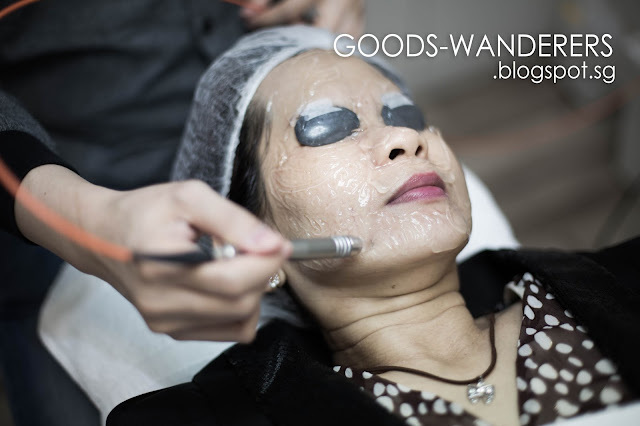 She has also tried Facial treatments, and applying creams on her face saw from related beauty products advertisement. Some methods she tried, has a little bit of improvement. Some don't even show any improvements. It was lucky bypass opportunity that I've come across and learnt about the differentiations of an Aesthetic clinic and Facial Salons. 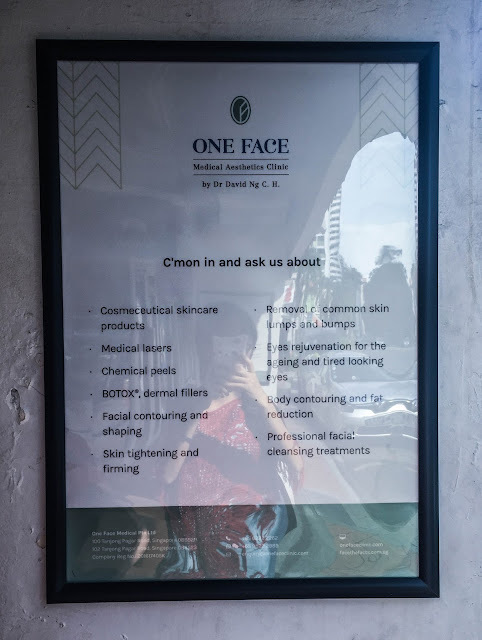 Basically, Facial Salons Pamper and recharge your skin in facial treatments and Aesthetic clinics solve skin issues with Cosmeceutical products and also customized Aesthetics treatments for you. I was also shared that skin pigmentation is better cured by Aesthetic clinic than Facial Salons. It was the first time for both me and my mom, entering an Aesthetic clinic. The result we've got from 4 months of visitation to the clinic is Splendid! 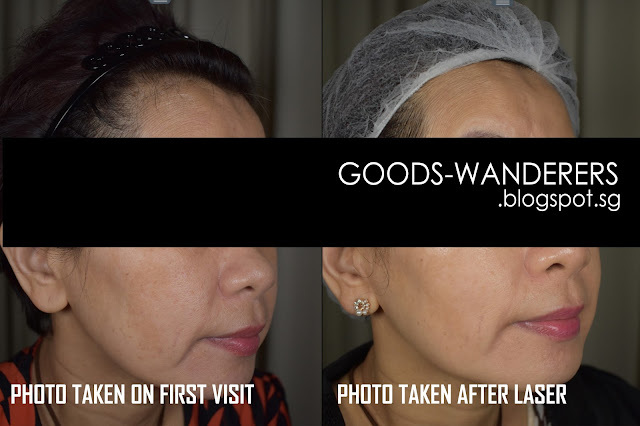 Let me share the procedure and how my mom recovers from her pigmentation face to her current beautiful condition face. 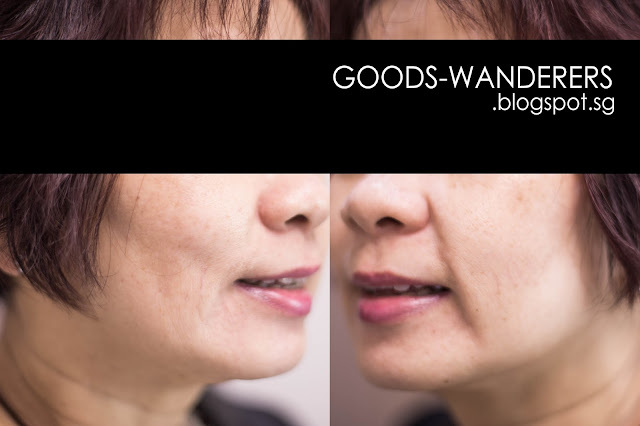 The below left and right face photo was taken before we consult the Doctor at One Face clinic. 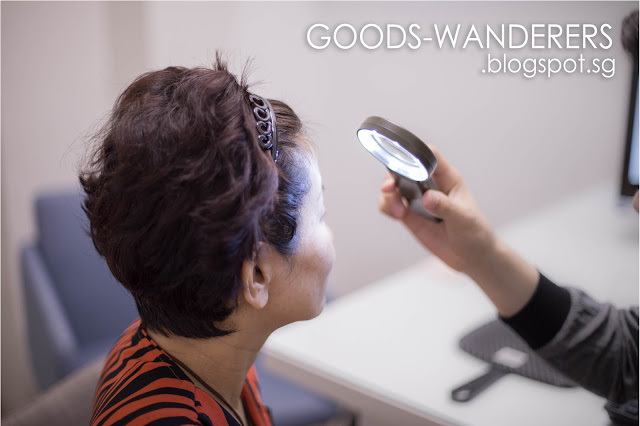 The Doctor explained the different types of dark spots and pigmentation to us while we were in the consultation room. 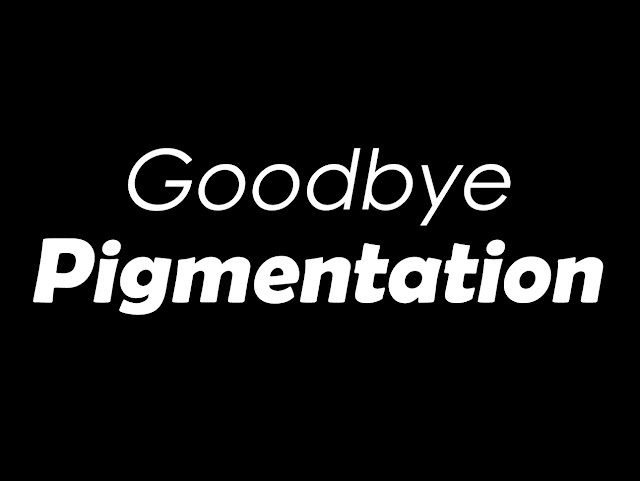 He guided us on how pigmentation has developed and also how to prevent it. However, the spots that have been there for a decade definitely need the help of prescribed medications. The medications we have gotten was a set of Cosmeceutical products of their own product line. 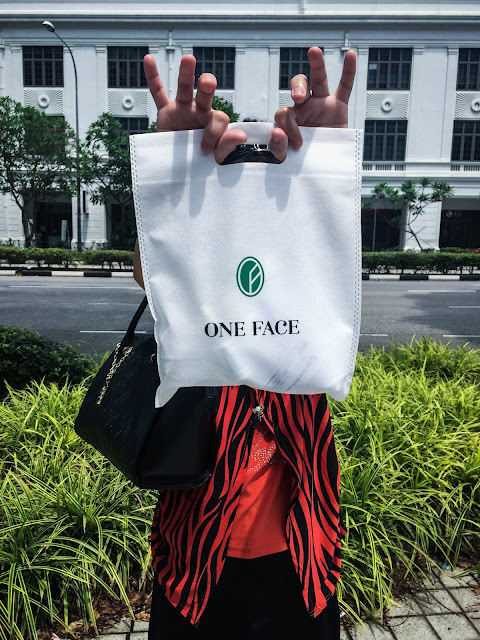 Face the Facts are locally made and is a brand under One Face Clinic. We've got Cosmeceutical products in the bag, my mom is really excited to try it out and hoping for the best! The doctor checked and instruct some changes on her daily consume of medicines as well as the ones she uses for applying on her skin for each individual following up. So from May until July 2017 was just basically eating medicines and applying the products prescribed. 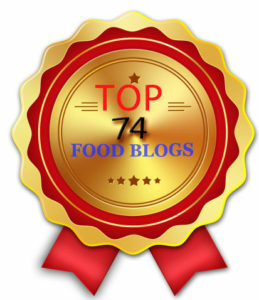 We have seen a large improvement from the first time we consult Doctor. My mom's pigmentation has been lightened by a lot just by taking the prescribed medications. Now she doesn't feel the confident-squashed anymore. 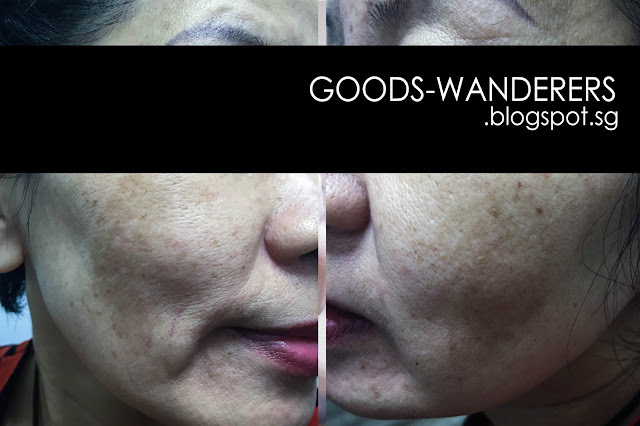 In the month of August, we've proceeded to Pigmentation Laser Treatment. It is practically painless and at the same time, an easy and fast way to get rid of Pigmentations. Now she doesn't need to hide behind walls or human crowd anymore because all her Pigmentation is almost gone! 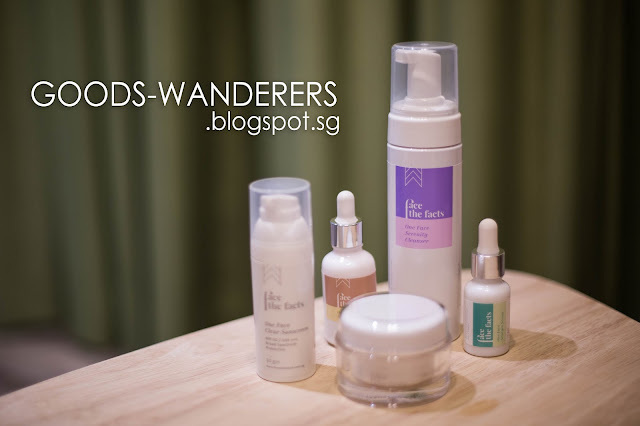 However maintenance of her skin is essential, her daily Face the facts beauty products will help her to improve her skin day by day and give her extra confidence! My mom is absolutely happy with her face & the experience we had at One Face Clinic. 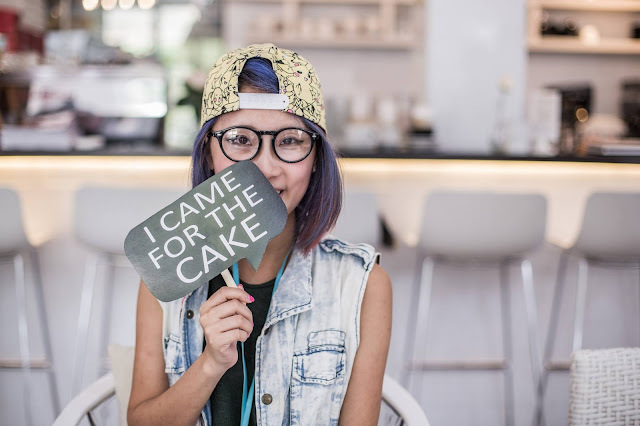 Now she has more confidence when she's communicating with her friends & colleagues! I love happy moms! 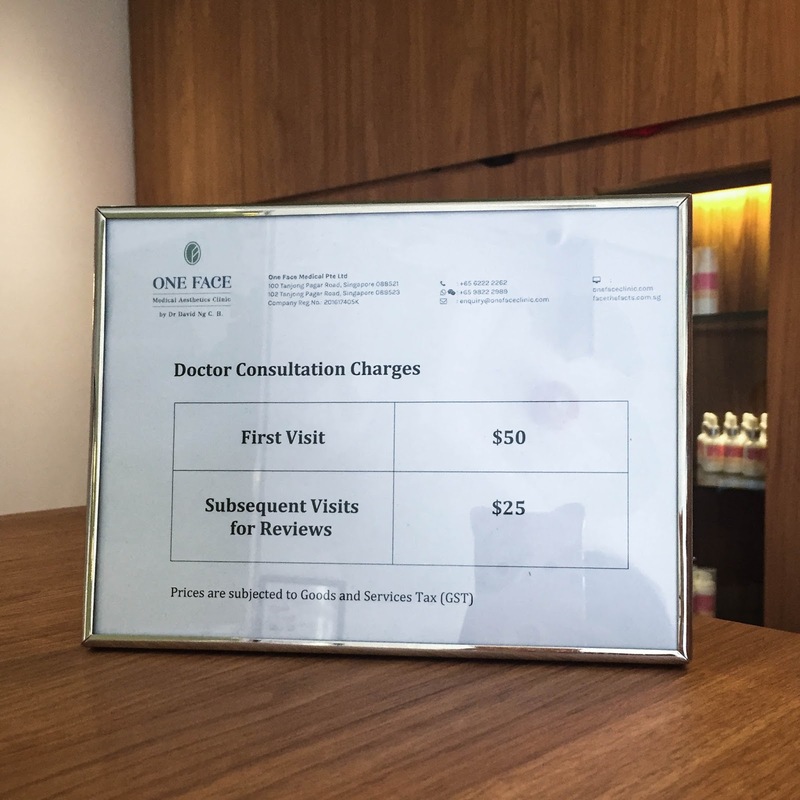 One Face clinic charges are not as expensive as I thought it could be. 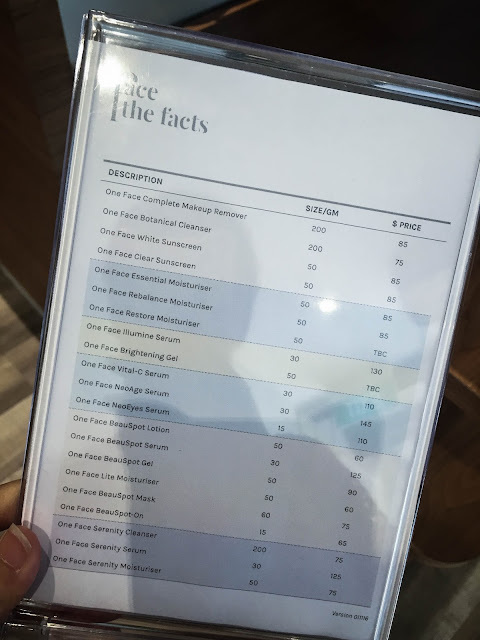 In fact, their consultation fees cost less than some facial packages out there. 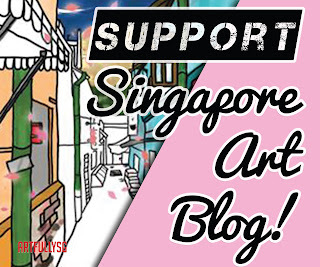 Skin Pigmentation & Discoloration Problem Solved @ One Face Clinic Singapore! Compared to normal facials, the aesthetic clinics offer medical facials that are proven to be trusted and sought-after for their expertise. 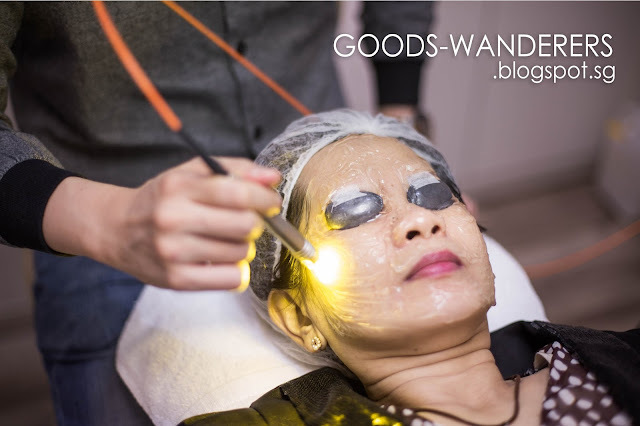 Although Aesthetic clinics can be potent, the natural ways of keeping your skin healthy are also very important. 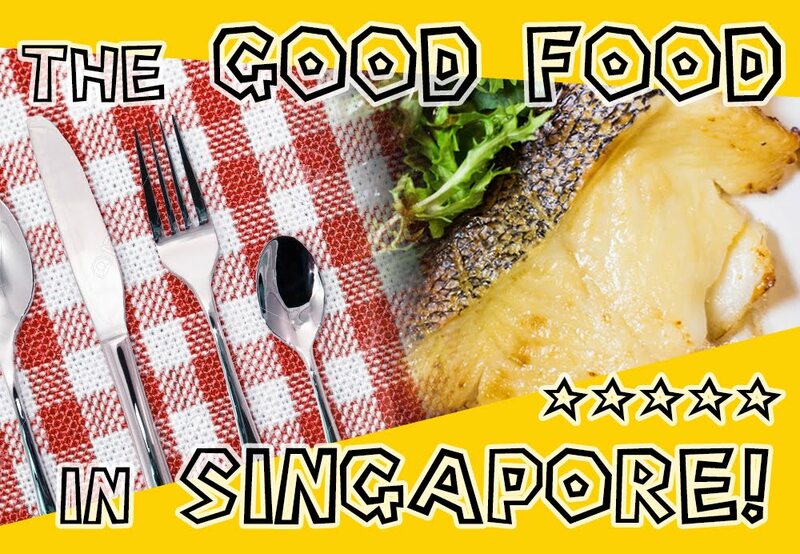 Such steps include maintaining a well-balanced and healthy diet, drinking as much water as you can in a day to hydrate your skins, regularly exercising and other activities that encourage sweating & detoxify, and having enough sleep. The combination of both approaches will ensure the healthy and glowing look of our skin.